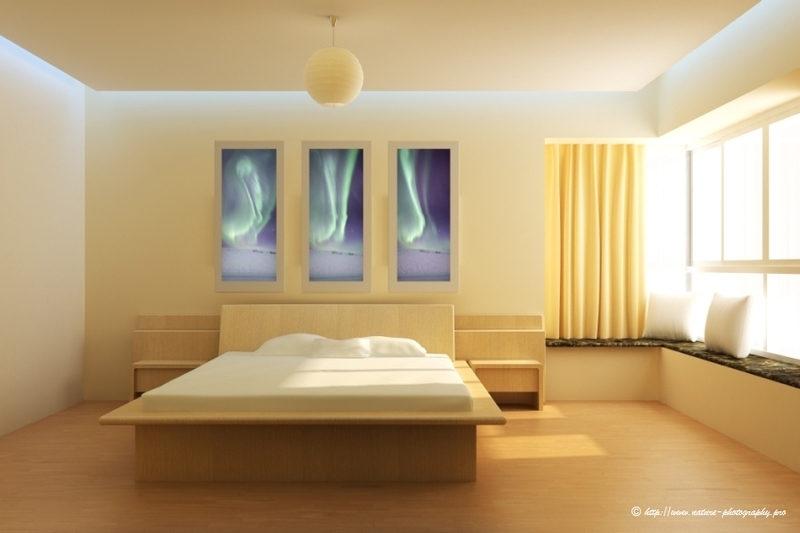 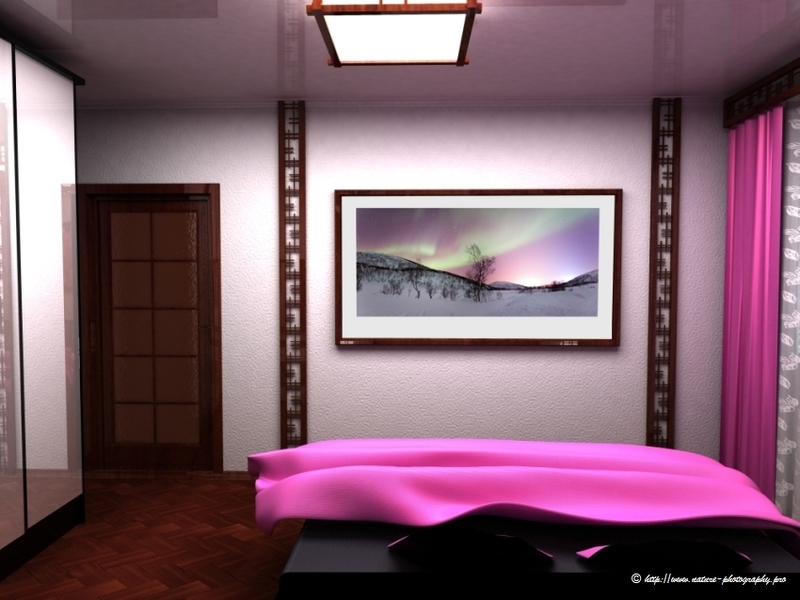 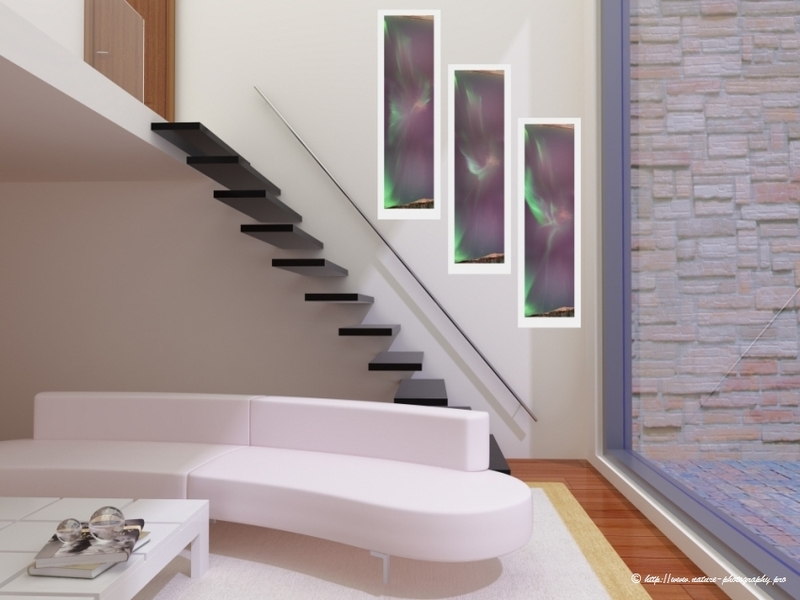 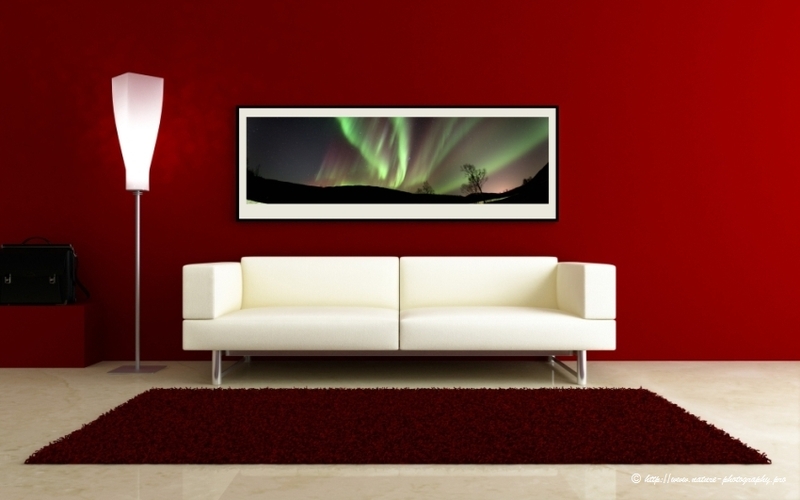 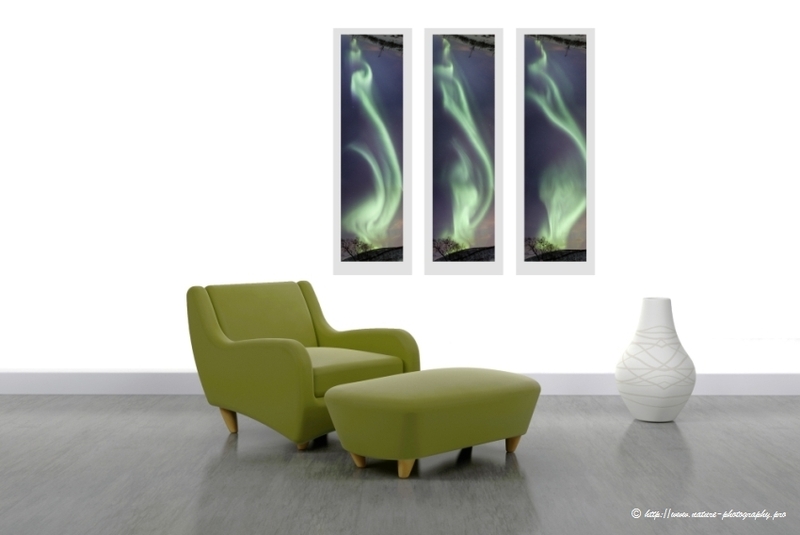 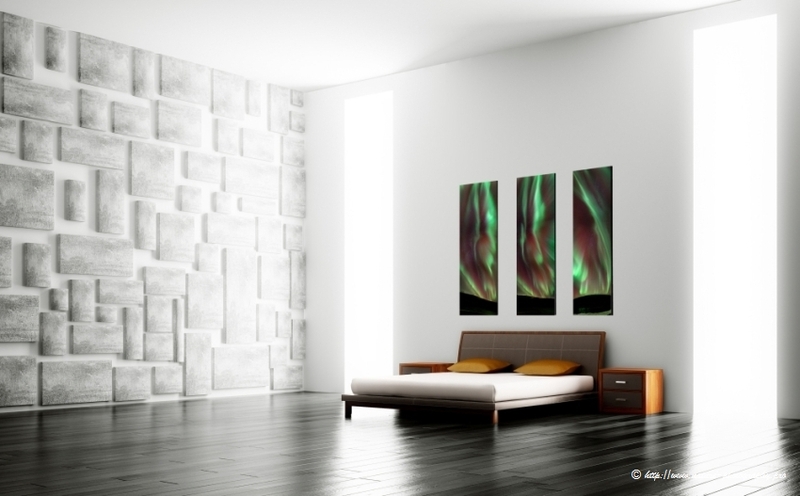 The images below show northern light photos in modern interior home design. 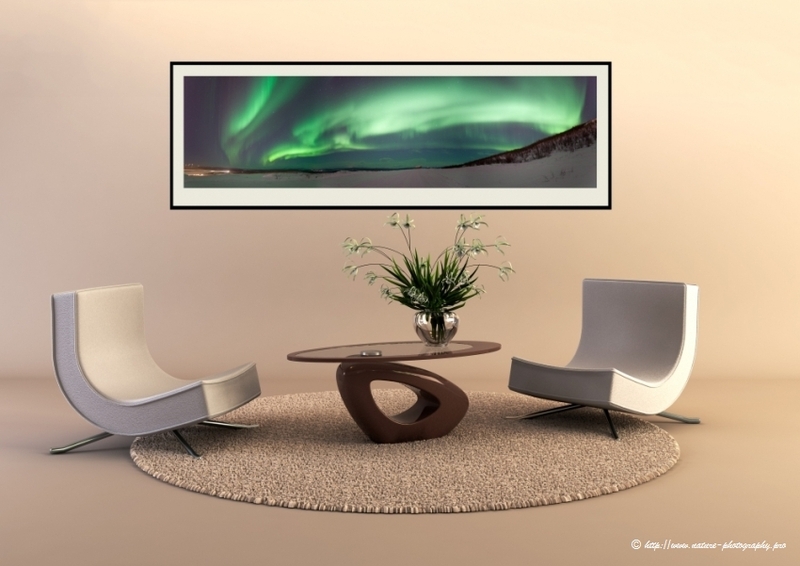 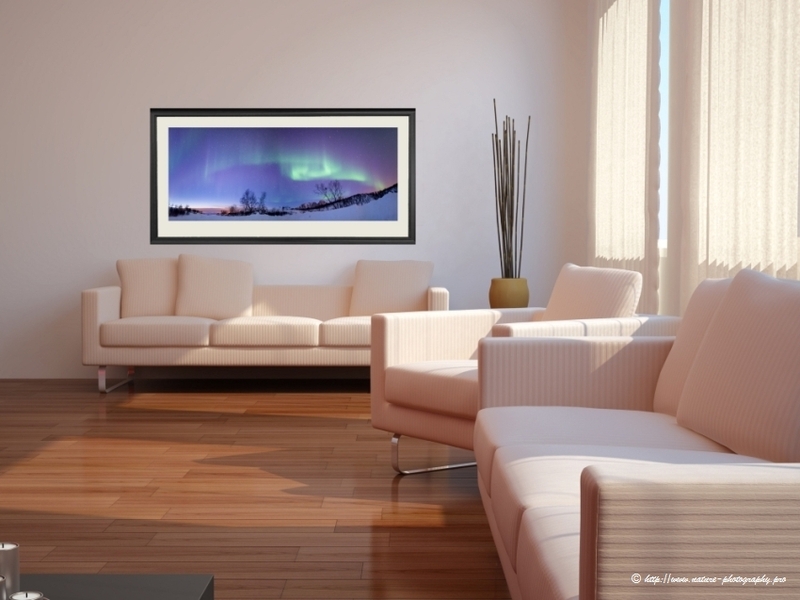 For an impression how northen light photos will look in your own home or office, please do submit a request by using the contact page. 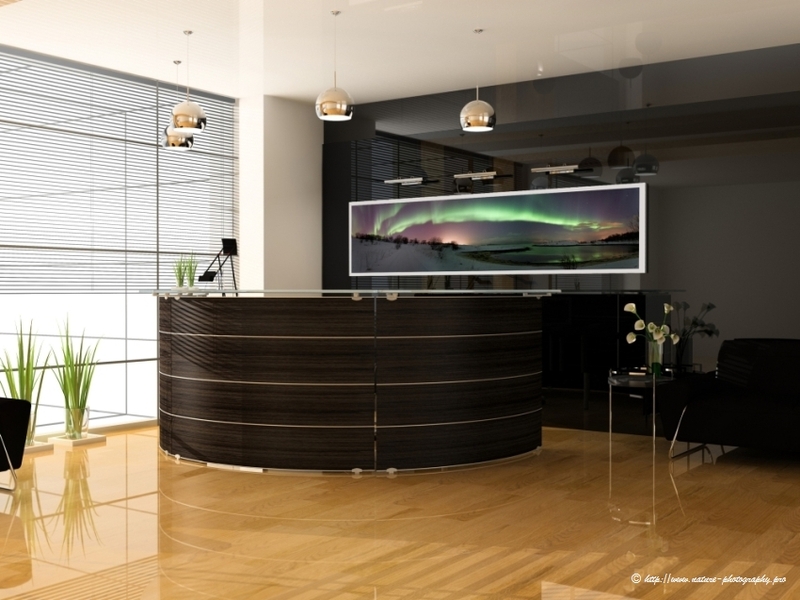 We do offer a free service for making digital composite photos of professional quality. 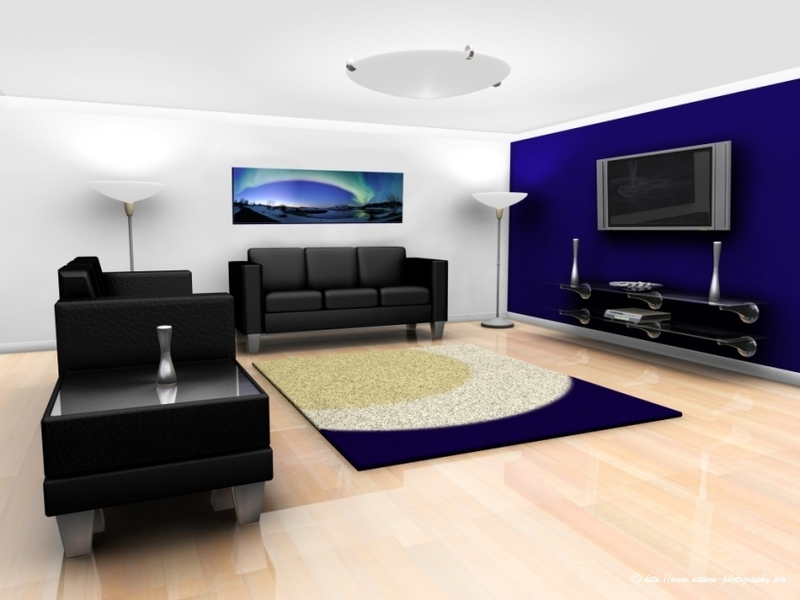 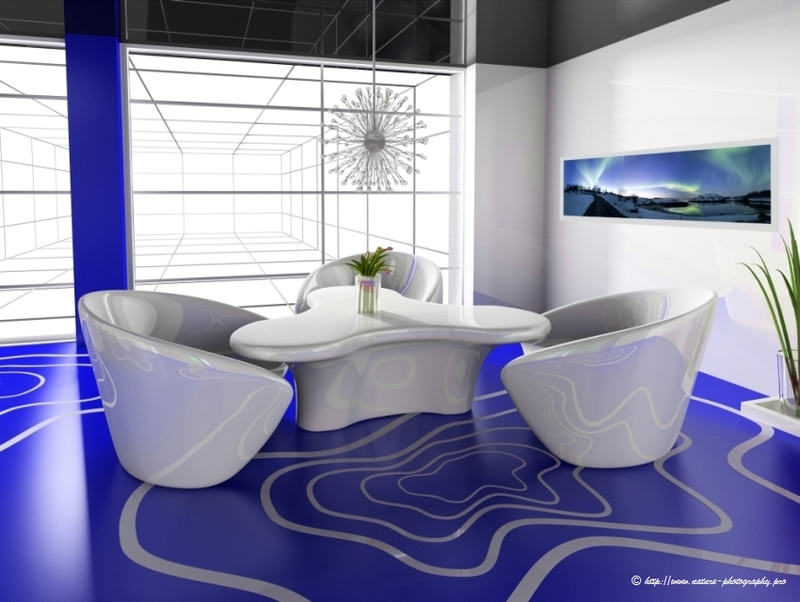 Our interior design team can work out different design concepts in communication with the customer.